On the streets of St Petersburg in 1985, Galina bumps into Andrew, an irrevocably shy Australian artist. Soon, she is on a plane to Melbourne in search of freedom. As Galina learns more about Andrew’s family, the reader discovers the totalitarianism she left behind is not the only authority that commands conformity; shame compels a different type of control in Australia. 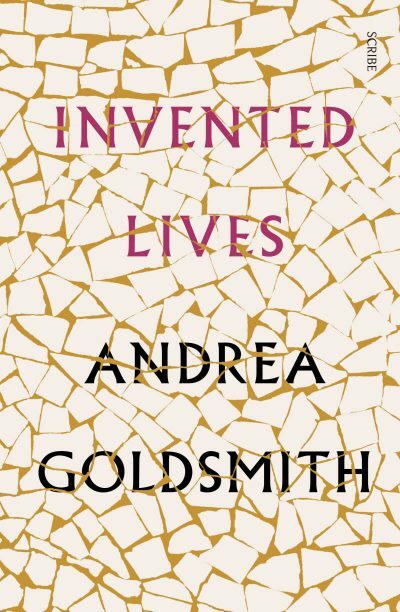 In her eighth novel, Andrea Goldsmith depicts Australia through the eyes of a new arrival: the abundance of Victoria Market contrasted with Soviet-era poverty. Goldsmith has long written about Melbourne and produces a very strong sense of place. Written in plain prose, this is a compassionate and thoughtful depiction of one aspect of multicultural Australia. This is a book that reflects on the migrant’s existential dilemmas: loneliness, assimilation, identity, home, exile. Invented Lives will appeal to fans of Australian literary fiction for its depiction of rich inner lives, and the conflict between desire and reality.